If you’re looking to fire up debate in any strata community, try inserting these four words: “short-term holiday letting”. This topic has been a source of major controversy over the past couple of years, courtesy of the rapid rise of letting services like Airbnb and Stayz. This year the NSW Government sought to introduce some regulation and clarity to the debate, passing new laws that will come into effect next year. So, when it comes to short-term holiday letting where do strata communities stand? Here’s an insight into the laws that will soon govern short-term holiday letting in NSW. Under new regulations passed by the NSW Government in August this year, there will be different rules applied to short-term holiday letting depending whether a host is present or absent. A Mandatory Code of Conduct and complaints system is also being introduced, along with provisions for strata committees to create by-laws for short term lettings in the instance the unit owner does not reside there. The laws were passed on August 14, 2018 and are expected to take effect next year. So, let’s delve a little deeper. The new laws indicate there are no restrictions on using a strata dwelling for short-term holiday letting and no planning approval is required if the host is present. 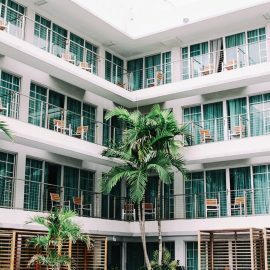 Effectively, that means a resident can use their home to accommodate short-term paying guests all year round providing the property is their principal place of residence. The NSW Government has introduced different restrictions based on location when it comes to how often a unit owner can use their unit for short-term letting when they are not there. In the Greater Sydney area, the residence can be used for short-term holiday letting for up to 180 days each year, while outside that area a residence can potentially be used for 365 days a year. However, local councils also get a say. In areas outside Greater Sydney, local councils can reduce limits from 365 days to no less than 180 days. A mandatory Code of Conduct will apply to short-term holiday letting, and part of that sees a ‘two strikes, you’re out’ policy applied. Fair Trading NSW explains a strike includes “any behaviour which unreasonably interferes with a neighbour’s quiet and peaceful enjoyment of their home”. Meanwhile, strata committees will be entitled to some say on whether holiday lettings can occur, but only for lots where the property is not the host’s principal place of residence. Fair Trading clarifies that means: “…if a host is genuinely sharing their home, they will still be able to use a spare room for short-term holiday letting and will be allowed to let out their principal place of residence while they are away on holidays”. 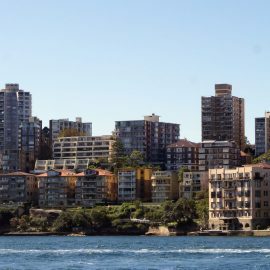 “NSW Fair Trading will also develop guidelines to advise owners corporations on how they can use other existing strata laws to help deal with short-term holiday letting,” they add. Our services extend from property appraisals, sales and marketing through to comprehensive strata management throughout New South Wales.